Meaghan Strickland, 28, and Jai Lebron, 36, were also arrested for allegedly possessing a firearm even though they are felons. 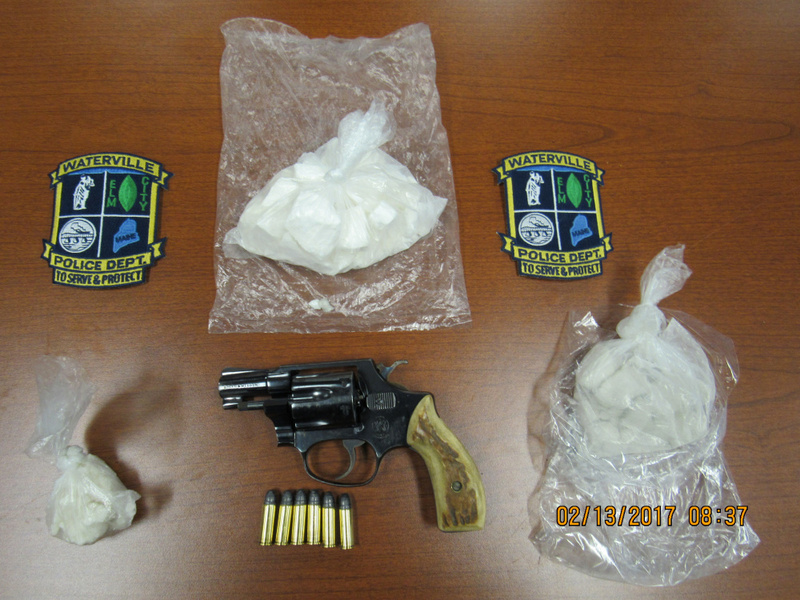 WATERVILLE — About $60,000 in drugs and a handgun were seized by police during an execution of a search warrant at an apartment complex on College Avenue Friday afternoon, according to the police chief. 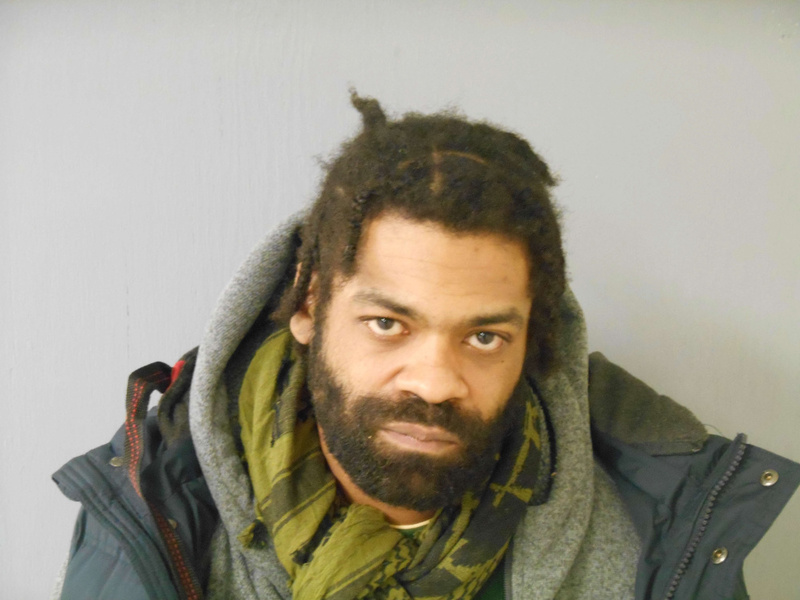 Meaghan Strickland, 28, who lives in the apartment at the Home Place Inn at 150 College Ave., and Jai Lebron, 36, of 220 Rolands Ridge Road in East Dixfield, were both arrested on multiple charges after police saw the drugs and weapon being thrown out the window, according to Chief Joseph Massey. Officers were searching the apartment after a weeks-long investigation into counterfeit bills that had been circulating at local businesses, Massey said. When officers knocked on the door of the apartment and announced they were police, other officers lining the perimeter of the building reported seeing a “significant amount” of drugs thrown from a window of the building, as well as a loaded .32-caliber handgun, Massey said. Police found a total of 146 grams of powdered cocaine, 25.5 grams of crack cocaine and 68 grams of heroin, he said, which has a total street value of $60,000. “This simply shows the drug scourge that still exists in this community,” Massey said. The Waterville Police Department is battling it on two fronts, he said, by using “very aggressive” enforcement as well as setting up a program to help find treatment for those who are addicted. Massey also said he is concerned they found a firearm in this case. He mentioned a case last week where a handgun was involved over a marijuana dispute. While no one was hurt in either instance, Massey said police are going to have to be even more vigilant while executing search warrants to avoid any confrontations. Strickland and Lebron were both in the apartment on College Avenue at the time police arrived and did not resist arrest. Massey said Waterville police know Strickland, but not Lebron, who reportedly had a New Hampshire license but told police he was originally from New York. Police searched the apartment but did not find evidence that connected the two with the counterfeiting case, although Massey said they have not excluded the pair as suspects. The police then got a different search warrant for drugs and found a small amount left in the apartment, according to Massey. Strickland and Lebron were both charged with three counts of aggravated trafficking of scheduled drugs because of the quantity of the drugs and the firearm, a Class A felony; possession of a firearm by a prohibited person, as both are convicted felons, a Class C felony; falsifying physical evidence for reportedly throwing the drugs out the window, a Class D misdemeanor; and reckless conduct for allegedly throwing the firearm, a Class D misdemeanor. 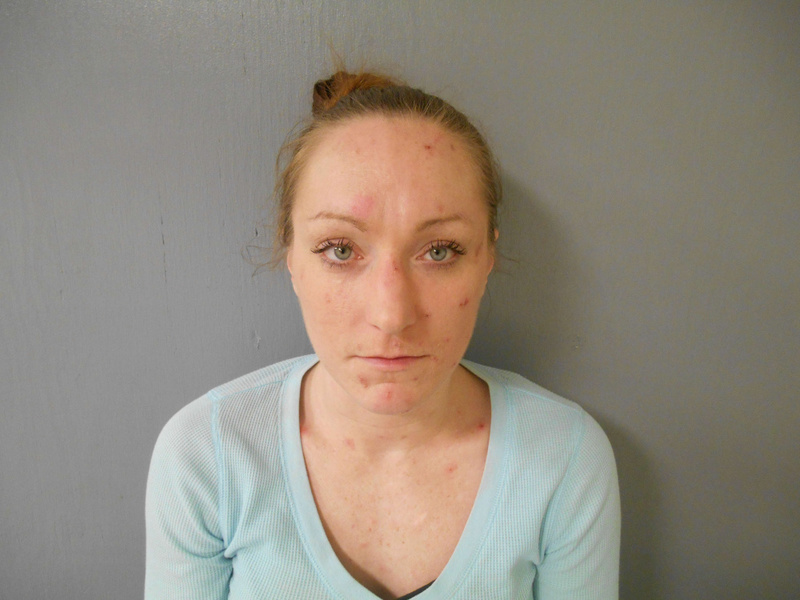 Strickland is being held at Kennebec County jail without bail as she was already on conditional release for pending charges. Lebron is also being held at Kennebec County jail on $165,000 cash bail. Both are scheduled to appear in Kennebec County Superior Court in Augusta on April 10.